This family farm has been a fruit farm in the Niagara Region since the early 1900’s and planted the first vineyard in 1940. 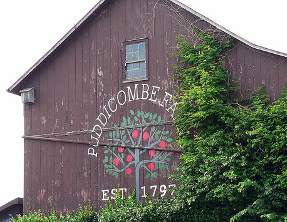 Currently the Puddicombe Farm and Winery has a 300 acre farm, consisting of mainly tree fruits. The property consists of a farm, vineyard, winery, general store, bake shop and a cafe. The vineyard has veen growing Gamay Noir and Chardonnay grapes since 1962, other Vinifera Grapes since 1968, Riesling, Pinot Noir, and French Colombard since 1975 on the 150 acre vineyard on the property.